Description: Gorgeous, white and tan, with the cutest spots and eye patches you've ever seen! General Training? Yes, Drake has worked with a trainer for almost a year since he joined the rescue, and has learned basic obedience using hand signals. Good with Children? Older children only; small children he could easily knock over as he is quite affectionate and likes to "pounce" and hug. Good with Other Dogs? Yes, if placed with an adult female dog with a good temperament. Good with Cats? No cats for Drake. 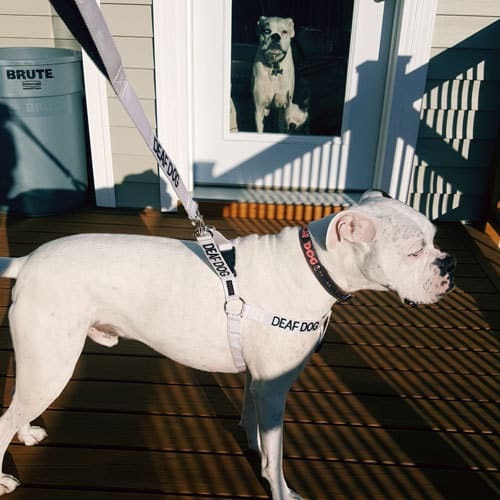 Meet our Deaf Dogs Rock Star of The Day adoptable, deaf, 6 year old boxer Drake who is looking for a loving home where he will be cherished, continue his training and always keep him safe. From his Rescue: This handsome hunk is Drake! He will be 6 years old in May, neutered, up-to-date on vaccines, micro-chipped, and deaf. 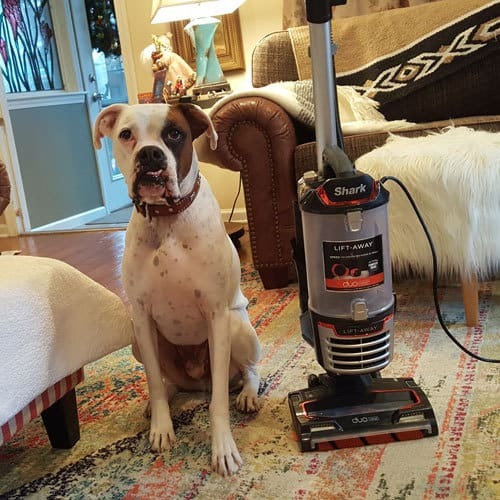 Drake was with Must Luv Boxers Rescue for about a month before one of our trainer/fosters realized he was completely deaf. With that realization, and with the subsequent shift to using hand-signals versus verbal communication, the floodgates opened, and Drake discovered that interacting with humans was worthwhile and meaningful. Drake has been quick to learn and willing to please. His training in basic obedience continues. On-leash, he is excellent with sit, down, and walking on a loose leash; still improving on stay. Drake has excellent potential and willingness to bond with a handler; and now at this stage in his training, would be an excellent time for an adopter to enter his life. 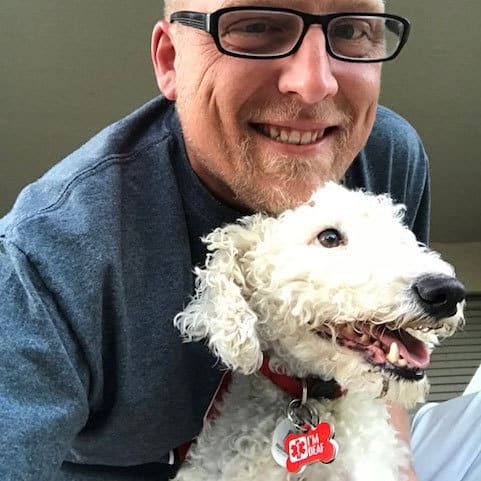 Previous experience with a deaf dog is helpful, but not necessarily required. 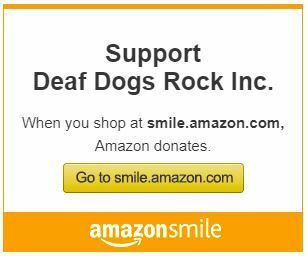 Prospective adopters must be on-board in recognizing the need for training and the time it takes to attain reliable behaviors that will keep a deaf dog safe.​ ​No cats for Drake as he does display a prey drive toward small animals.